The Pioneer has been designed to be our starting spinning wheel – yet we have been careful not to compromise the functionality that Majacraft wheels are renowned for. As with all Majacraft wheels our accessories will fit on the Pioneer. 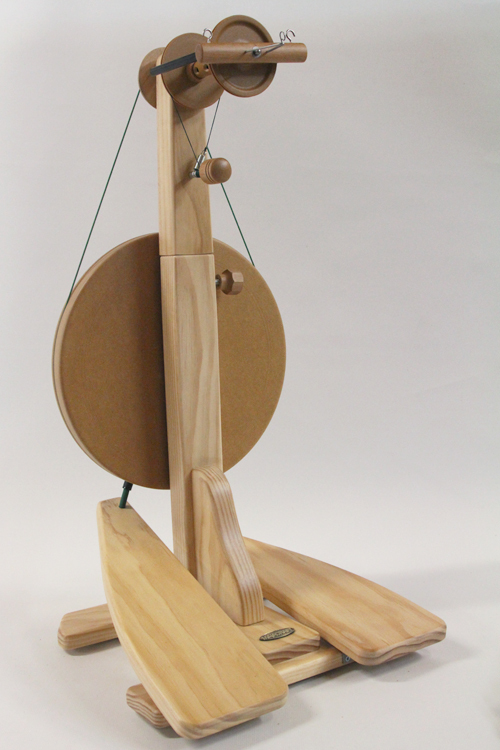 You can add our specialist spinning equipment if you wish to pursue different styles of spinning. 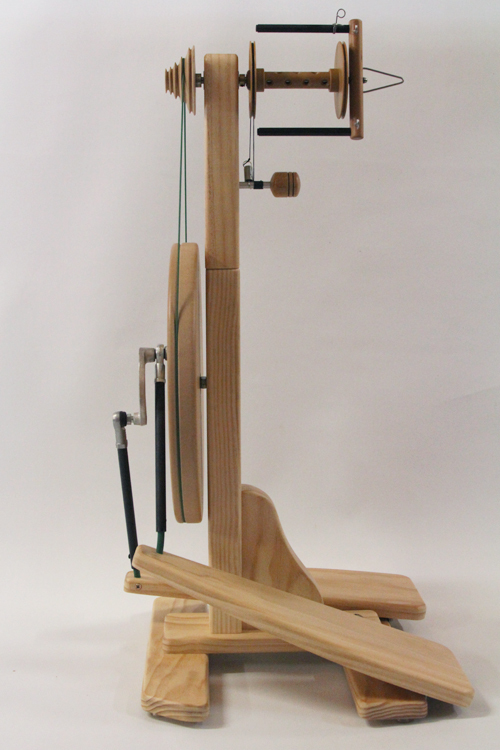 It has a wide range of ratios, a versatile Delta Flyer and easy to use Scotch Tension system. The Pioneer is constructed using solid Pine and is available finished by us with a sprayed lacquer finish. The Pioneer has lovely flowing lines in the design of the pedals and base. 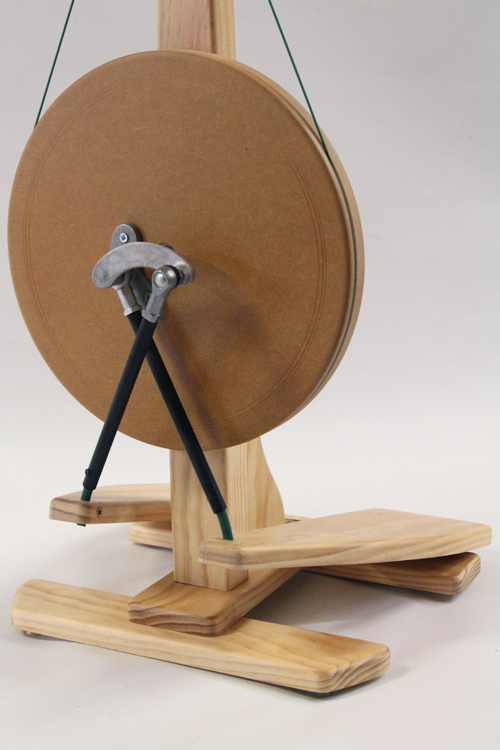 The drive wheel has is constructed in stable and dense MDF to ensure your wheel spins smoothly.